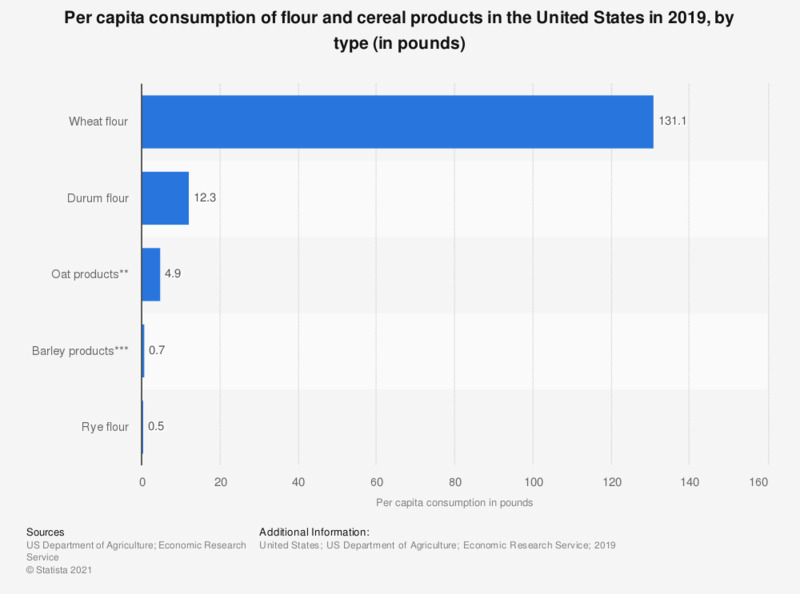 The timeline shows the per capita consumption of flour and cereal products in the United States in 2015, by type. According to the report, the U.S. per capita consumption of corn products amounted to 34 pounds that year. Based on estimated resident population plus Armed Forces overseas. Consumption of most items at the processing level. Excludes quantities used in alcoholic beverages and fuel. ** Includes rolled oats, ready-to-eat oat cereals, oat flour, and oat bran. *** Includes barley flour, pearl barley, and malt and malt extract used in food processing.